I used to know someone who had a plaque on their wall of a fish. 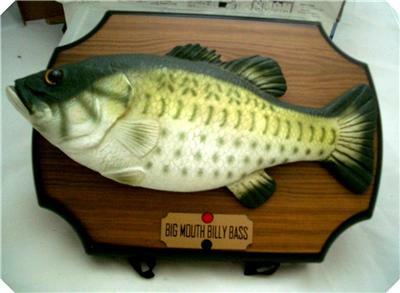 His name was Billy Bass. Every time you walked past this plaque, Billy came to life and began to sing "take me to the river!". I know, you are wondering "what kind of redneck friends do you have!" I thought about that fish today as I read Psalm 1:3. It talks about the believer that chooses to walk and stand and sit in places that bring life and not death. I am to be like a tree planted by the river. My life, nutrition and health are determined by the location I plant myself in. Leaves that don't wither and branches that are fruitful can only occur when I stay by the flowing spirit of God. If you feel weak, tired and unproductive, check out where you are planted. Is there "living water" close by? If not why not join me today and sing with that crazy fish...take me to the river!